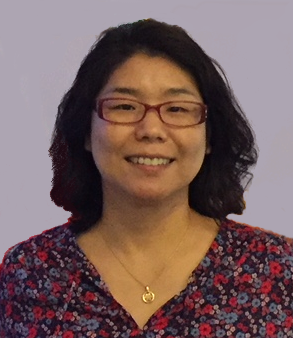 So-Rim Lee is CKR-AKS Postdoctoral Fellow. Her research interests are in contemporary popular culture’s complex embodiments of neoliberalism through performance studies and visual culture, with a focus on modern South Korea. So–Rim also researches on beauty as a mode of neoliberal governmentality, K-pop’s transnationalism, everyday performance in the discourse of self-care, and the intersections between theater and visual culture. So–Rim holds a B.A. in Film Studies from Columbia University, an M.A. in English Literature from Seoul National University, an M.A. in Text and Performance from the Royal Academy of Dramatic Art, and a Ph.D. in Theater and Performance Studies from Stanford University. In her doctoral dissertation, (Re)Made in Korea: Cosmetic Surgery and the Performance of Self, So–Riminvestigates South Korea’s cosmetic surgery industry and the politics of self-management in the twenty-first century. So–Rim will be joining our faculty as the recipient of the CKR-AKS Postdoctoral Fellowship in Korean Studies for the 2018-19 academic year. She will be teaching “Korean Popular Cinema,” a course that will survey modern Korean culture and society through Korean popular cinema. Drawing from weekly screenings and readings on critical film and Korean studies, the course will explore major topics and defining historical moments in modern Korean history post-1945. Hye Eun Choi is Korea Foundation Postdoctoral Fellow. She received her PhD in History at the University of Wisconsin-Madison and her MA in Asian Studies at the University of Texas at Austin. Her dissertation, titled “The Making of the Recording Industry in Colonial Korea (1910-1945),” explores the birth of the Korean recording industry at the intersection of capitalism, colonialism, and globalized modern sound culture. During her stay at Columbia, she will revise her dissertation into a book manuscript.